What do you do when spring has sprung and you're still wearing your winter coat? If you're a chamois, you spend time on the last remaining patches of snow. I think that it's quite clear from previous posts that my favourite seasons are the colder ones, so I was very happy to see some snow was clinging to the steeper areas of the Hohneck hills. I was also very happy to see that the chamois were also taking advantage of the snow. The snow and the fresh heather led to a composition that I found intriguing; in particular with the second one of these three images. 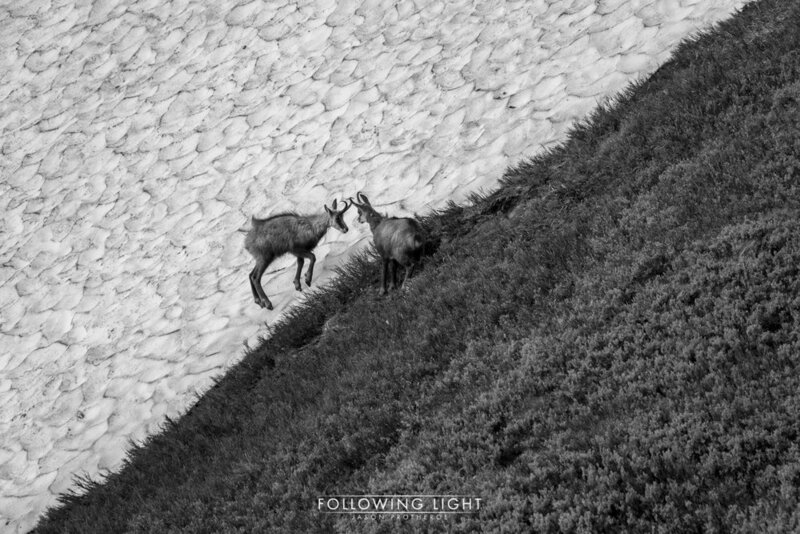 With this one the diagonal split of light and dark, the equal balance of snow and heather, and the two chamois seemingly interacting with one another, one in the dark and one in the light, lends a feeling of yin yang to the image. Possibly influenced by the Yin Yang in the previous images, I was drawn into a new composition when one of the chamois moved away from the group. 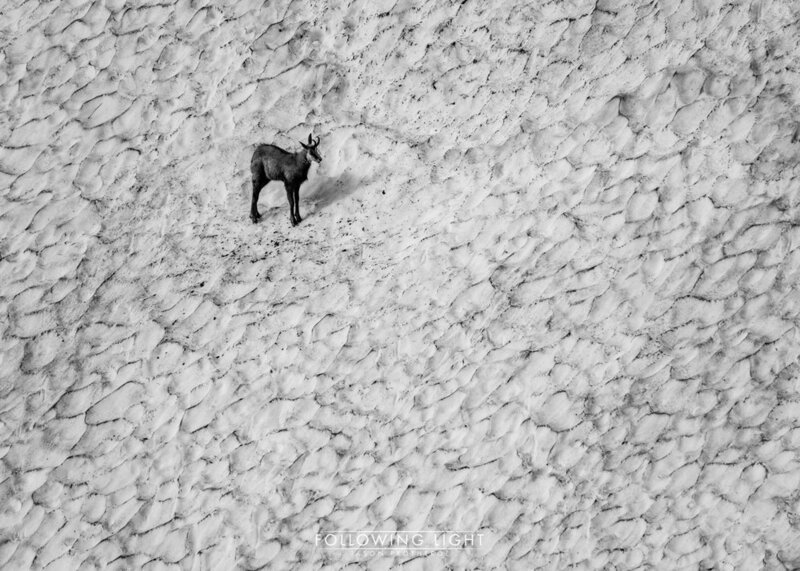 I was able to capture these two minimal images by utilising the isolation of the chamois against the pattern and texture on the surface of the surrounding snow. As all of the images so far give the impression that I was in the middle of a snowy landscape, I'd like to take a step back and show you what it was actually like. To show the difference between location and composition. As you can see from these two images, the scene as a whole was completely different to the impression given by the composition. What this shows, apart from the obvious advantage of a long lens, is the importance of composition in telling a story. That the individual elements that go to make up the landscape are as important as the whole. To get these images, I used a 100-400mm lens with a x2 converter, which gives a reach of 200-800mm. This helps to isolate individual aspects of the whole, to be able to show the story within the story. In short, it helps me to show you what I see. It was cool and windy on the top of the hills, cooler than I'd expected. This is why my hood is up and I look like I'm about to mug a tree. It's easy to underestimate how cold it can get with the wind chill while sitting still for a long time. Camouflage isn't really necessary in this location. The chamois are used to people being around, but you never know when it might come in handy. I'm also wearing it because most of my hiking gear is now some form of camouflage, or at least shades of green or brown. Wind chilled and tired I made my way home. I'd left there at 0330h so I could arrive early and get some images of the sunrise. I was also planning on making a stop or two in the forest on the way home. I've included the following two images to show that although most of my blog entries and images lately have been wildlife based, I haven't forgotten about Landscape Photography. The first is a sunrise shot from Hohneck and the second from Lac de la Lauch. While driving through the forest there was something special about the light from the storm clouds that were gathering and I'd noticed that there was still some mist hanging in the trees, so when I drove by the lake and saw the reflections I had no other choice but to stop and take a closer look. I don't usually say what the next post will be about, mainly because I rarely know myself, but today is different. I have an exciting and definite plan this week. Tomorrow, I'm going to a two day event organised by Fuji. 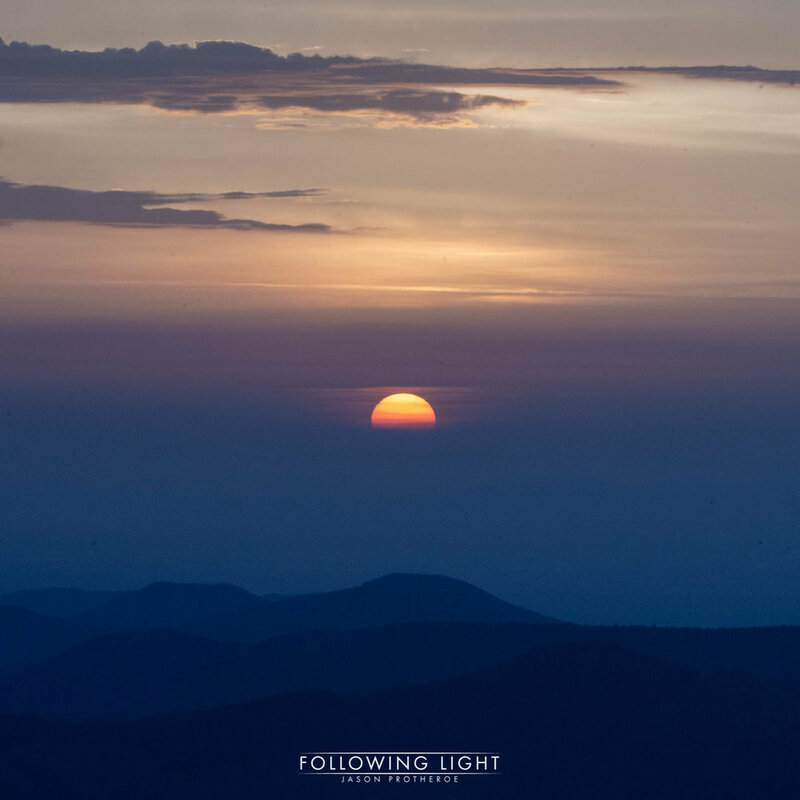 They'll be demonstrating the GFX-50s and giving some guidance about landscape photography. On top of this they're also going to lend me one and a few lenses to use for the duration of the event. So the next post will be all about my experience with the medium format GFX-50s, about the pros and cons and how much or if I liked it. If it goes that way that I think it may, then there'll be a bit about how much I begged to keep it and how many tears were shed while giving it back. There may also be some points about what gear I'll be selling to be able to get one ;o).